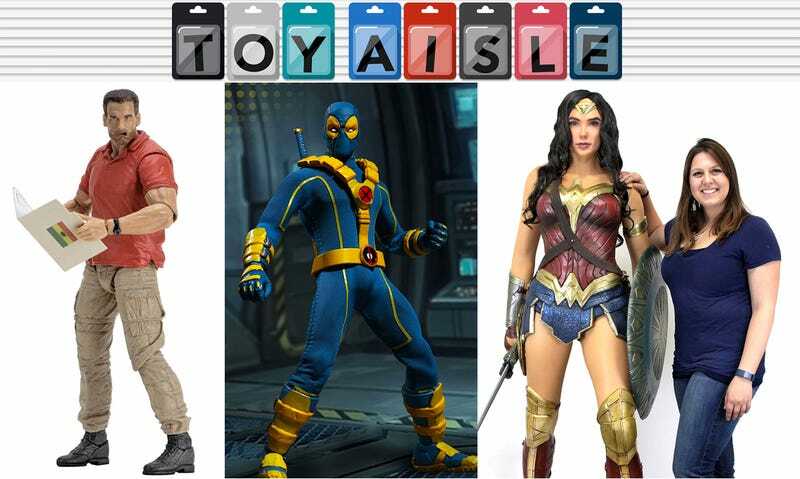 Welcome back to Toy Aisle, io9's weekly roundup of the fanciest toys that will have you even more upset you’re not able to make it to the San Diego Comic-Con this year. And if you’ve ever lamented not having an Arnold Schwarzenegger figure that looks like he just took the day off to visit Home Depot, you’ll find exactly what you’re looking for this week. Who among us didn’t grow up pining for an action figure of a scientist who ended up merging with a swamp after a horrific accident? Hasbro’s new Man-Thing figure looks gigantic and wonderfully detailed, but to add him to your collection you’ll need to buy all six of the company’s new six-inch Marvel Knights Legends series figures—Daredevil, Bullseye, Blade, Elektra, Jessica Jones, and the Punisher—who each include a piece of Man-Thing. Crunch the numbers and you’ll need to save up $120 by the fall when these will be officially available.